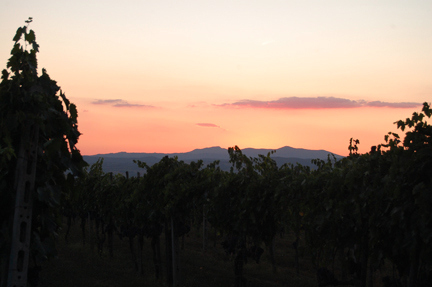 Above: I took this photo of sunset over Soldera’s Case Basse estate in 2010. Nearly two weeks after more than 60,000 liters of wines were destroyed in an act of vandalism at the Soldera Case Basseestate in Montalcino, Italian wine industry observers generally concur that the atrocious and senseless crime cannot be attributed to organized crime. The theory that it was an act of retribution for the 2008 Brunellopoli controversy, believed by some to have been sparked by Gianfranco Soldera, has also been discounted by Montalcino insiders. This week, leading Italian wine blogger Franco Ziliani quoted a private message sent to him by lawyer Bernardo Losappio, who represents many Montalcino wineries and winemakers. “I am certain,” wrote Losappio, “that the author of the crime will be sought among persons with whom Case Basse has had private relations” and not among “external” actors. 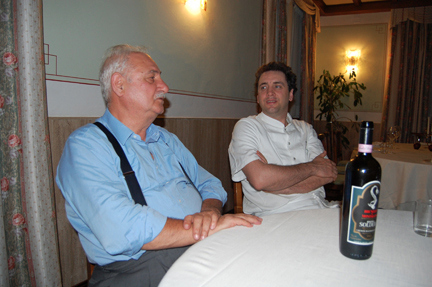 Above: Soldera (left) with chef Roberto Rossi in 2010. In my personal email exchanges with persons on the ground in Montalcino this week, everyone of my friends and colleagues has expressed the belief that it was an ex-employee of Case Basse who committed the crime. Many have written that it’s only a matter of days before the case is solved. One thing is certain: this act of heinous vandalism and “intimidation,” as Soldera has called it, has prompted a collective gasp of disbelief and horror that stretches across the world. As in a Rorschach test, every subject has reacted differently: many saw the hand of organized crime, some called it an act of retribution by “big” wine, and others simply expressed their inability to wrap their minds around this atrocious act of violence. Our morbid fascination with this episode surely reflects the role that wine plays in contemporary bourgeois society as an emblem of wealth, luxury, and power. Nearly two weeks after news of the crime spread through the internets, we have observed how the power to destroy wine — an act that took just a few minutes — is almost as enthralling as the power to produce it. And we continue to be nonplussed by the disparity between the energy expended to make this wine (six vintages of maniacally cultivated fruit and meticulously vinified wine) and the energy employed to destroy it. This week, the Case Basse winery declined an offer by the Brunello producers association who had called for donations of wine to be given to the Soldera family to use at its discretion. 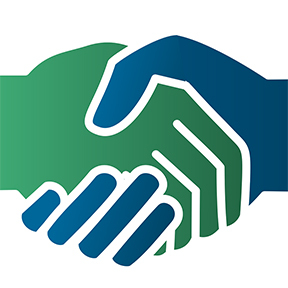 In a statement, published online (and reposted by Franco Ziliani), Soldera thanked the consortium for its solidarity but proposed that the wine be given to the Universities of Siena and Florence for research. The winery also announced that it is suspending sales of its 2006 Brunello di Montalcino in order to discourage “speculation” in pricing. On the popular Italian wine blog Lavinium, leading wine writer Roberto Giuliani reported today that an Italian wine shop was selling the 2006 for Euro 4,500. This entry was posted in de vino and tagged Bernardo Losappio, Franco Ziliani, Gianfranco Soldera, Roberto Giuliani. Bookmark the permalink.